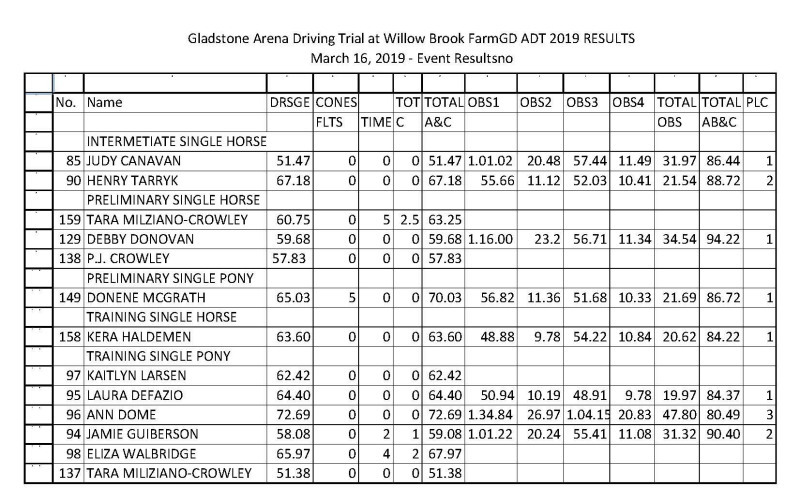 The first annual Gladstone Arena Driving Trial was held on March 16, 2019 at Willow Brook Farms in Northampton, PA. The following are the results from that competition. The results can also be downloaded here .